I have been too busy to paint lately, but found myself with a free afternoon yesterday and wondering if I still remembered how to paint! 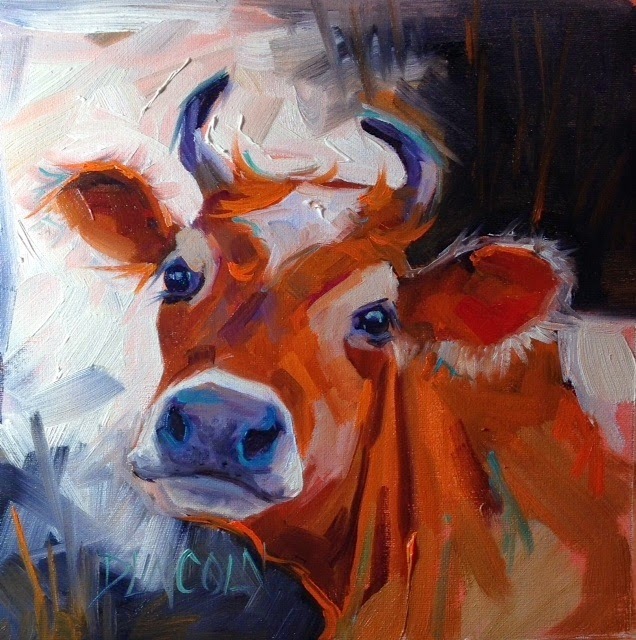 As a warm-up, I selected an image from my hoard of cow faces shared by my many "cow friends". This is Darcy and she lives in Rhode Island. Completed in 30 minutes, it re-inforced my confidence, and I happily worked on 2 other commissions after this one. And when I showed it to Darcy's owner, they had to have it - all in all a productive day!